Rio de Janeiro’s Paço Imperial is currently hosting an unusual retrospective of Japanese postwar art, ‘The Emergence of The Contemporary: Avant-Garde Art In Japan 1950-1970‘. Curator Pedro Erber is the author of Breaching the Frame: The Rise of Contemporary Art in Brazil and Japan, which similarly examines the uncanny contemporaneous trajectories of the Japanese and Brazilian postwar avant-garde art movements. BLOUIN ARTINFO spoke with curator Pedro Erber on the eve of the opening to find out more about the existing and underappreciated affinities between the Japanese and Brazilian postwar avant-garde art movements, the fertile yet turbulent situation in Rio in the run-up to the Olympics next month, and the contemporary significance of re-enacting certain seminal performance pieces from 1960s Tokyo as part of this exhibition. In the decades that followed the Second World War, Japan was the stage for some of the most radically innovative avant-garde movements of the twentieth century. 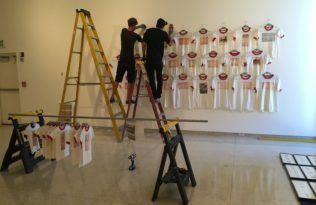 Visual artists, critics, writers engaged in a common effort to reinvent the place of art in a society that rebuilt itself after the devastation of war and years of cultural censorship under the fascist regime of the Japanese empire. In 1963, Miyakawa Atsushi, one of the most acute theoreticians of postwar art in Japan, observed that the reach and nature of the transformations taking place in artistic expression was such that the modern paradigm had become obsolete and in its place emerged a new paradigm, which he termed, in almost premonitory fashion, “contemporary art (gendai bijutsu).” Miyakawa’s observation referred not only to Japanese art, which could not be regarded as an isolated phenomenon. Rather, it resonated a general effort to think contemporaneity as the sharing of a common historical time across national, linguistic, and cultural borders. 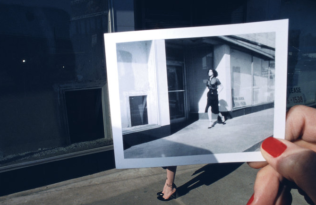 The Emergence of the Contemporary presents the panorama of avant-garde art in Japan between 1950 and 1970 focusing on artists whose practice and theoretical reflections marked the transition from painting towards three-dimensional space, performance, and conceptual art. The exhibition brings together some of the most representative works of the period, besides documentary photographs, movies and other historical documents. It contextualizes the trajectory of the avant-garde in its dialogue with events that shaped the history of the postwar era, such as the movements against the renewal of the Treaty of Mutual Cooperation and Security between the United States and Japan (ANPO) in 1960 and 1970, the Expo ’70 in Osaka, and the 1964 Tokyo Olympics in particular. 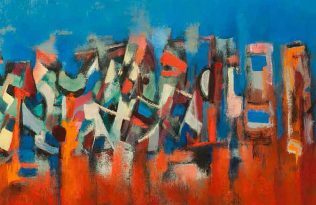 Frustrating desires of exoticism, postwar avant-garde art from Japan reveals deep affinities with the trajectory of the Brazilian avant-garde, from painting to the object-based art and spectator participation. 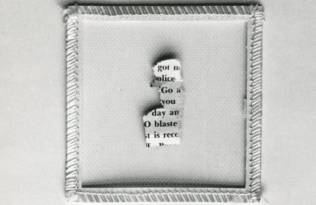 In addition, in the recurrences and resonances between 1964 and 2016, between Olympics past and present, another meaning of the contemporary emerges, in which the radical creativity and the impetus of social intervention of Japan’s postwar avant-garde art echo here and now, suggesting possibilities and limits for present day art. Through a division more thematic then chronological, the exhibition highlights three moments of avant-garde art in Japan: Politics of Abstraction presents 1950s abstract and its discursive context; Art and Social Engagement approaches the transformations of politically engaged art from social realism to direct action and urban intervention; Matter, Concept, Act focuses on the inflection of political art into philosophical inquiry, the question of matter and dematerialization of art. 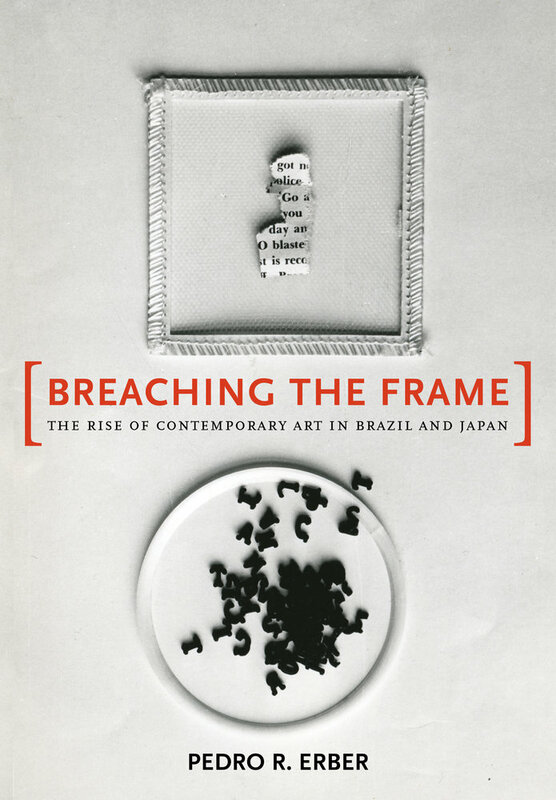 Get your own copy of Erber’s book, Breaching the Frame: The Rise of Contemporary Art in Brazil and Japan, online at IndieBound, Amazon, Barnes & Noble, or UC Press (to save 30% on ucpress.edu, enter discount code 16M4197 at checkout). Pedro R. Erber teaches in the Department of Romance Studies at Cornell University. He holds a Ph.D. in Asian Studies from Cornell University, M.A. in philosophy from Pontifícia Universidade Católica do Rio de Janeiro, and B.A. in philosophy from Universidade Federal do Rio de Janeiro. Erber is the author of Política e verdade no pensamento de Martin Heidegger and articles on intellectual history, art, literature, and aesthetics. Breaching the Frame Procession: The Art of Norman Lewis Opens This Weekend in Philadelphia The Uses of Photography exhibition opens this weekend at the Museum of Contemporary Art San Diego The Polaroid Project: Instantly fun. Forever iconic.